The Map Location Diagram (right) shows the relative position of places within the area of this grid square. Maps having this Map Reference Number will cover the whole area but be less detailed. 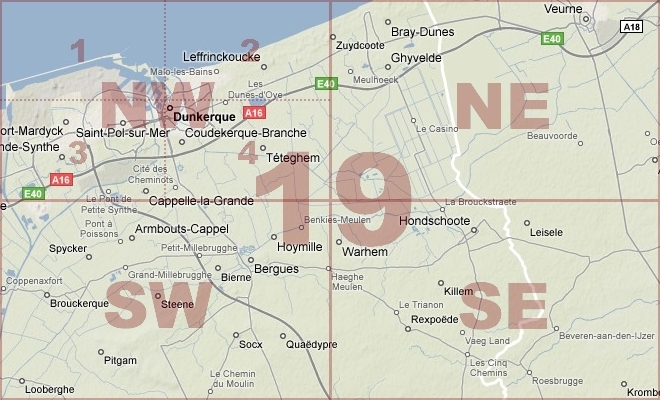 Maps with NE, NW, SE or SW in the Map Reference Number will only cover one-quarter of the whole area but be more detailed. Click the following links for more information about How to Read a Map Reference Number or about Map Scale.